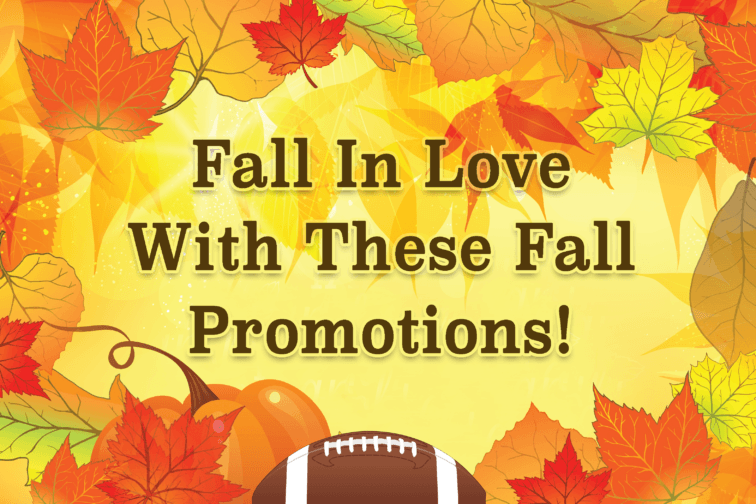 Fall has arrived which means it is time to start planning your fall promotions! Interactive Promotions Group has a wide array of contests that are sure to attract big crowds for your next event. Take advantage of Halloween, Black Friday and Thanksgiving with contests that will increase your profits and attract new customers! See below to check out our new Fall contests and promotions. Give participants the chance to scratch, match and win with our Rake In The Cash, fall themed scratch cards. If one of your contestants unveils a winning card with the 6 matching symbols, they walk away a winner and Interactive Promotions Group pays for the prize! This fall pumpkin promotion is a great way to get in the holiday spirit. Select participants will have a chance to pick the winning pumpkin out of the bunch. If a contestant pulls the correct one, they go home with the grand prize! Our dice roll contest is perfect for the fall seasonal can fully customize your dice. You tell us what word or logo you would like to have on the dice. For example, to theme the dice for fall promotions you could do pumpkin, goblin, or ghost images. This will be the winning combination that will have to be rolled in order to take home the grand prize! Pick 6 finalists for your station or local business for the NFL games going on over Thanksgiving and assign each finalist a different team. If one of those teams returns a kickoff for a TD in the game that team’s finalist goes home with $10,000 as the grand prize! With IPG, you are not limited to just the contests above. If you have another idea for a fall inspired contest, give us a call at 888-882-5140. We will be able to give you a free quote and fine-tune your contest rules and specifics.